You are an expert in wood pellets. We've got the lubrication experts and products for your mill. The St-Hugues mill produces swine and duck feed mostly for its shareholders of which Isoporc is a member. The company is closely linked to Isoporc which raises 500 000 pigs annually with the help of many livestock farmers. The plant produces approximately 4000 tons of animal feed each day and operates 24/7. Located in Sacré-Cœur, on the Upper North Shore of the Province of Québec, in the Boisaco Group industrial complex, the Granulco plant produces ecofriendly wood pellets for domestic and commercial stoves or furnaces, and high quality granular horse litter. COMPAGNY : GRANULE SM inc.
Granule SM operates a wood pellet mill of 150 HP 12 hours a day 5 days a week. It produces wood pellets for heating purposes and litters. Two to three bearings needed to be replaced each month and the equipment had to be lubricated every 15 minutes with almost 70 grams of lubricant each time. Each of these damaged bearings caused a two-hour loss of production. Before meeting with Sinto’s lubrication experts, people at Granule SM tried lubricants like LUCAS, Mystik and Prolab without ever finding a solution to their problem. 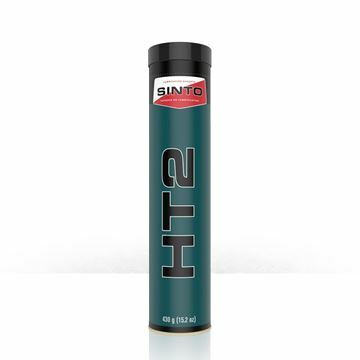 Sinto’s experts advised them on the type of lubricant to use in that particular case and on the best lubrication practices for this type of equipment: Lubricate every 4 hours with 45 grams of Sinto’s HT2, a lubricant specially designed for this type of machine. Granule SM stopped damaging bearings. No bearing has been replaced for more than 2 months. No more stops in production nor expansive repairs. Production has increased by 30% and the company will soon install a second 150 HP wood pellet mill. Lubricant consumption went from 8 3200g-tubes once a day to one tube every three days.